It's a Laser Fax, a Printer and a Scanner, all in a single, compact, stylish system. Don''t let its size fool you! With a slim, compact body and stylish design, the UF-4000 may look like just another pretty face, but inside its sleek exterior beats the heart of a true business fax. Small enough to fit on your desk, this powerhouse provides a true practical solution for small businesses and home offices. 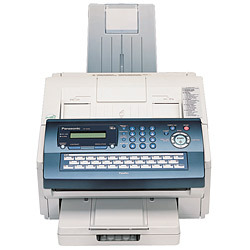 When connected, the UP-4000 becomes an easy-to-operate Super G3 Laser Fax, a PC printer, Image Scanner and a Document Management System -- all with solid performance that''s both ergonomic and economical.